It is Friday at last. My brain started to celebrate this morning knowing that it was the last day of school. 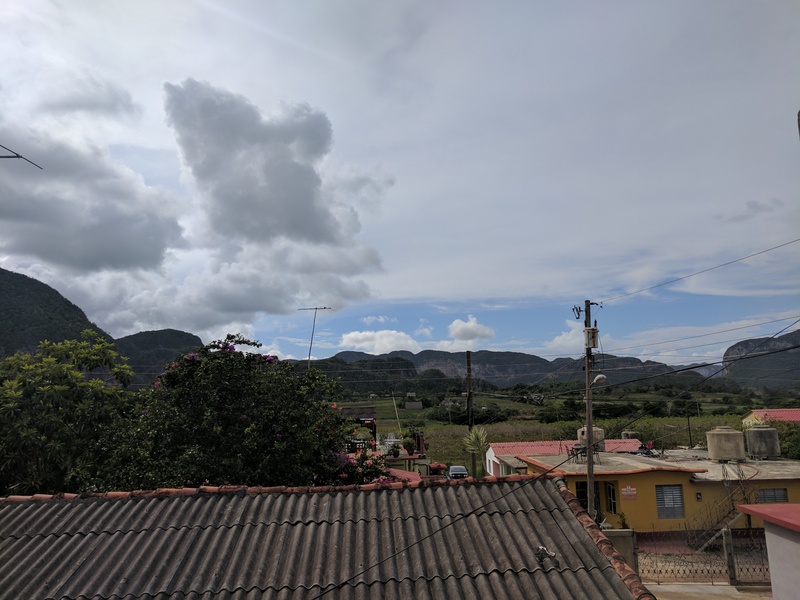 I think the alcohol messed with my head last night as I didn’t sleep well and this morning I had forgotten that we were off to Viñales today. Some last minute packing was necessary before school! Lessons were hard as I was tired but I held my own well enough. We had a basic conversation between the three of us for 45 minutes – that’s pretty damn impressive for me!! After lessons, I said goodbye to a couple of people who were heading off tomorrow (more details of places to visit – yay!) And had to rush back to my casa to pick up my bag for the weekend and my passport. I was ready then to get in the taxi and nap. Or so I thought…..
Happily installed in the taxi with aircon, I started to make myself comfortable and settle in for a nap….it was then that we hit the highway! Most of the time I think I spent with my bum off of the seat, the bumps were huge, it was like being on a mini rollercoaster. We pulled off briefly onto an even bumpier offroad section to get fuel (someone’s house just off the highway where we parked on their “drive” and a guy poured a load of fuel into the side of the taxi from a large jerry can). Back on the highway you saw alsorts including horse and carts and cyclists! Two and a half hours later we arrived in Viñales. 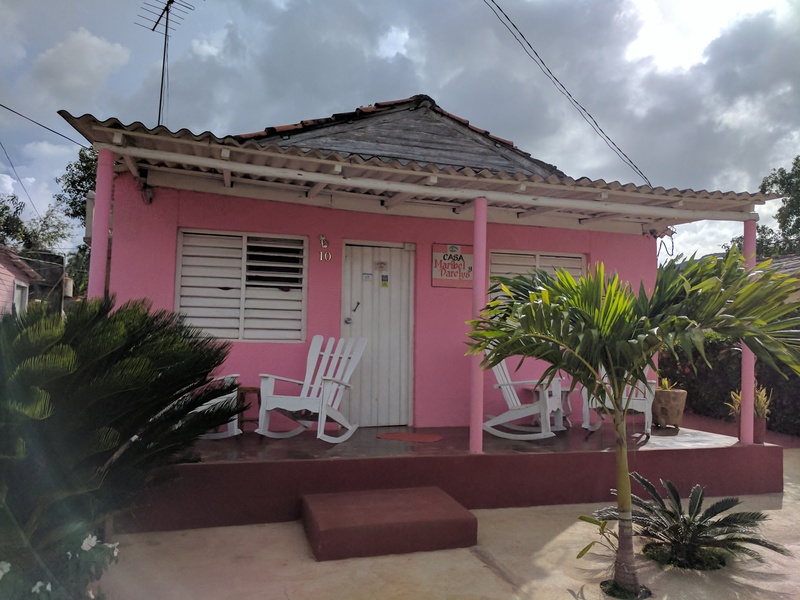 There were a lot of tourists on the main strip which has many beautifully coloured and quaint looking buildings typically expected of Cuba. After being shown our casa and given time to drop our gear, we headed to the roof to take in the view and decide what we would do until dinner. What a beautiful view it was indeed and we had an awesome roof garden to enjoy it. We decided to go for a drink and a walk about the main strip before dinner. The little bar we picked was full of tourists, I don’t think a local could be seen on the main strip except if they were working! 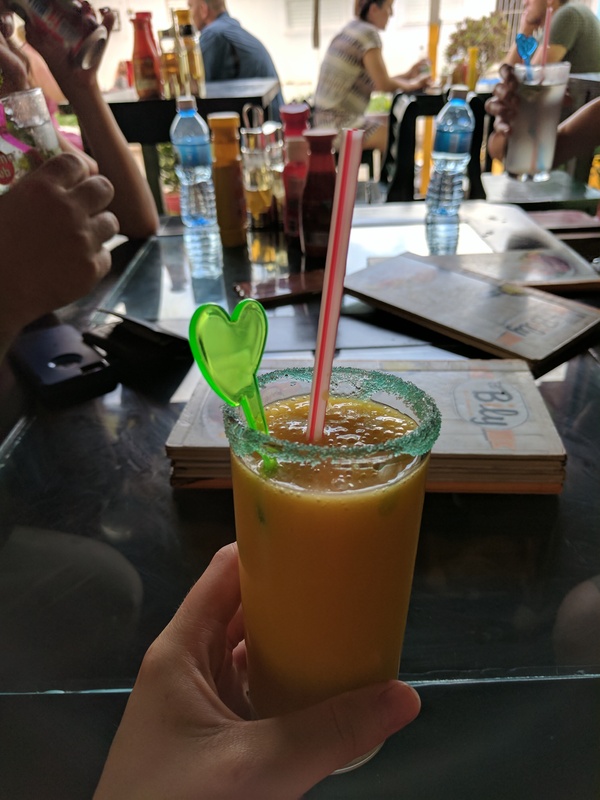 I got to enjoy a rather special mango juice and the change they bought really made the trip there! Dinner from our hosts was amazing. Naturally I ate too much and fed the house cat, trying to persuade it to leave with me but it was fickle and of course just wanted my chicken. We followed up dinner with a few rounds of scum before heading to bed ready for a busy day in Viñales tomorrow. 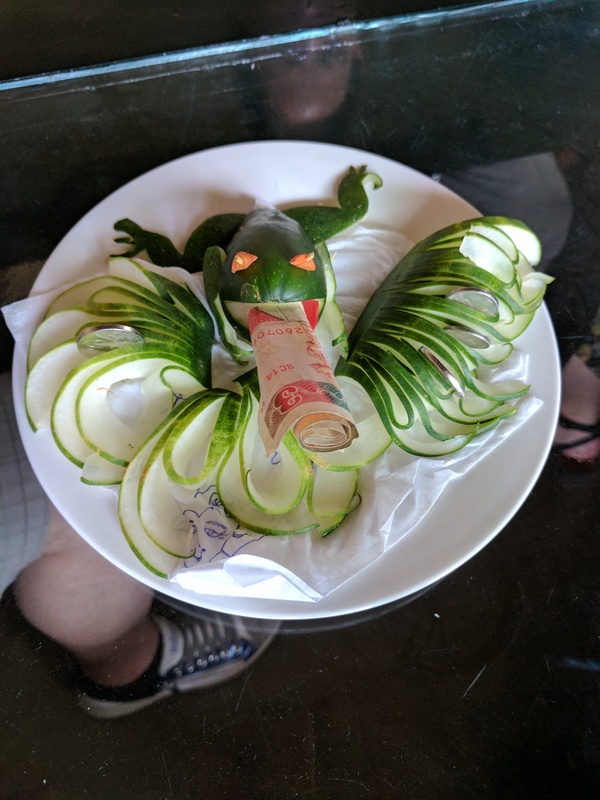 A cucumber frog – very clever! !